Small, benign, or low-grade malignant tumors located in the neck of the pancreas are usually treated with enucleation. However, if enucleation is too risky because of possible damage of the main pancreatic duct, standard pancreatic resections are performed. Such operations can lead to impaired long-term exocrine–endocrine function. Middle segment pancreatectomy consists of a limited resection of the midportion of the pancreas and can be performed in selected patients affected by tumors of the pancreatic neck. 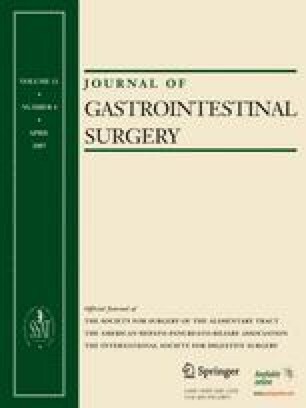 Middle segment pancreatectomy is a safe and feasible procedure for treating tumors of the pancreatic neck; in experienced hands it is associated with no mortality but with high morbidity, even if the rate of “clinical” pancreatic fistula is about 20%. Moreover, it allows a surgeon to preserve pancreatic parenchyma and consequently long-term endocrine and exocrine pancreatic function. An erratum to this article is available at http://dx.doi.org/10.1007/s11605-007-0179-y.